That concert where you and your love dance to 'your tune'. That epic day, when your team wins the final. That's Rotterdam Ahoy. We are the place that you associate with a particular experience. For a while or perhaps, forever. We offer experiences that will touch your heart. Your memorable Ahoy experience starts the moment you navigate through this website, enter our car park or let us look after your coat at the wardrobe. And it only ends when you look back on the pictures and share them with your friends and relations. We are aware of that. We are 250 event professionals with a shared mission: to create the conditions and the service that will raise your experience and perception to the highest possible levels. We innovate until it can't get any better, without losing that sense of familiarity. We are also the venue that is very well known among the 'biggest on earth' since 1971. We offer a base for international artists, top sports professionals, politicians and celebrities. But we are also the people of Rotterdam. Proud residents of a global city that is constantly being rediscovered by visitors from all over the world. 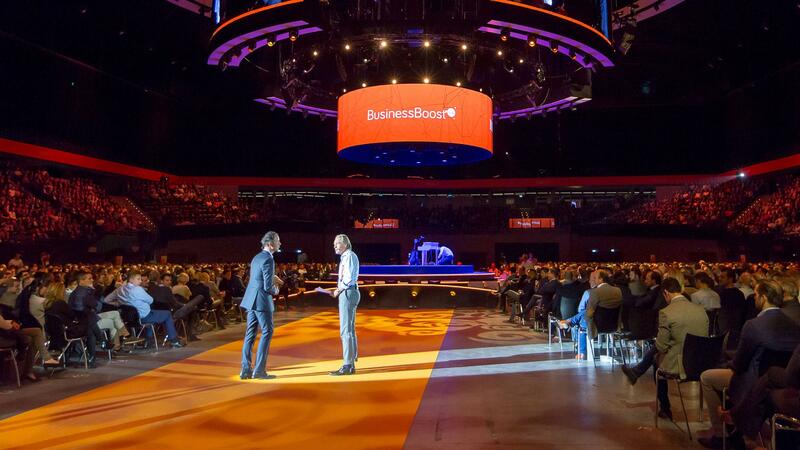 We consider Rotterdam Ahoy to be the very best stage for positive experiences; where pleasure, creativity, development and success are always in the spotlight. Our highest aim: From satisfied visitors and contacts to 'ambassadors' for our brand, allowing us to offer genuine enrichment and also guarantee continuity and sustainable growth in a venue on a global scale. Rotterdam Ahoy is in the unique position of being able to call upon a rich tradition that has been created by our own people. Continuous innovation enables us to respect our heritage. We invest in people, in collaboration and creation. We believe in the clarity of the Rotterdam people. In getting things done. In results. From ourselves and everyone else who is helping us build our today and tomorrow, we expect nothing less than excellence. Our highest aim is to create visitors and contacts whose expectations are exceeded, and guarantee continuity and sustainable growth. We offer everyone, in as many ways as possible, a positive experience, because at Rotterdam Ahoy we believe that these experiences, large and small, enrich your life. For the past 45 years, Rotterdam Ahoy has been creating the top location for large and small, but also one of a kind experiences that inspire you, get you moving and enrich your life. With our people and our venue, we quite literally bring worlds together. As residents of Rotterdam, we are grounded in the 'now' but also have a unique outlook on the requirements for the future in the events industry and the conference market. We work tirelessly centre-stage and behind-the-scenes, on creating the best memories for you. We look forward to welcoming you.